Who the hell worships a bundle of flying spaghetti with meatballs? | Fruit for Thought! Who the hell worships a bundle of flying spaghetti with meatballs? 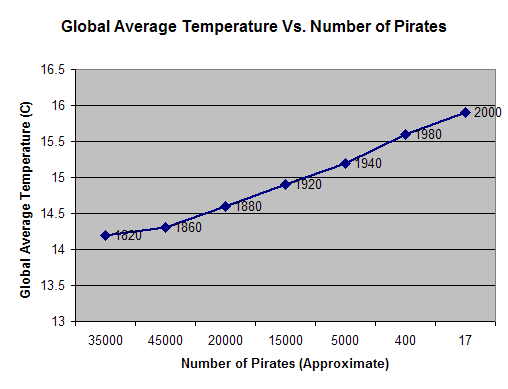 With a decrease in the number of pirates we have seen an increase in global warming over the same time period. Therefore, global warming is caused by a lack of pirates.